The transformation of this comic into a more family-friendly version of its TV show counterpart continues in this issue while all the while continuing to have, at its core, the same zaniness that one comes to expect from an Archie comic. To clarify my statement above, what Spencer is doing is adding a backdrop to the zaniness in the form of the current mystery: what has happened to Reggie’s dad, and how is the gang involved? 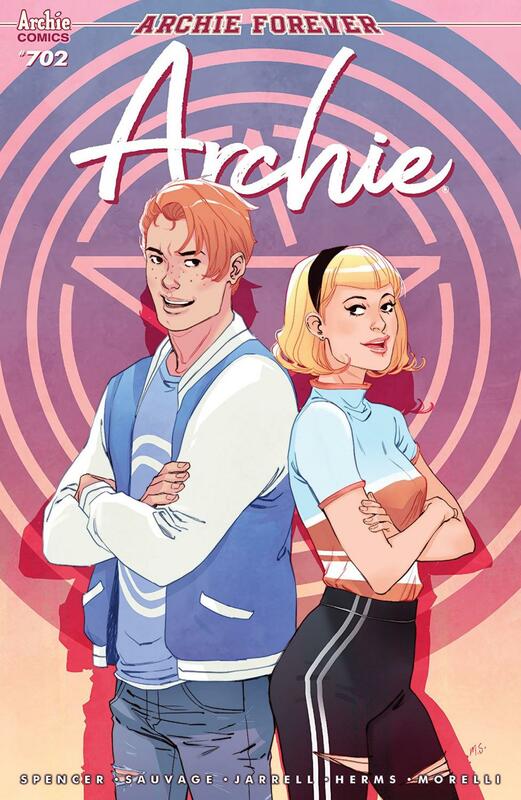 This issue sees a few storylines emerge: Jughead as the continued narrator as he’s being questioned by the police; Reggie beginning the hunt for answers in regards to his father; and finally Betty and Veronica shelving their differences to find out what exactly is happening with Archie. And all of this just really works for me. Spencer has always been great at spinning a mystery involving teenagers (see: Morning Glories) and keeping the intrigue level just high enough. Him translating that to the Archie universe has proven to be quite fruitful as well since he keeps me engaged throughout the issue and I love how little hints are dropped here and there for the reader. This is done not only with Jughead’s narration, but also with little visual cues. This month, Sauvage shares art duties with Jarrell and Herms and the split is a little noticeable. At first, I didn’t realize that the issue had split art duties so I was wondering why the art had a slight downgrade from earlier issues. And this is not a criticism on Jarrell and Herms because what they have done is still really good, it’s just Sauvage has been on top of her game for this current run that the change of artists 5 pages in is very noticeable. All in all, this issue continues a fantastic start to a new era of Archie comics and it just feels like Spencer and Sauvage are just getting started.